RAD provides cost effective solutions for the data communications and telecommunications needs of the railway industry. High speed railway travel, a vital mode of modern transportation, depends on advanced communications technology for ensuring safety, security and uninterrupted service. Converged transmission of voice, data and video along a communications network provides reliable information for railway operators to make critical control decisions. For passengers, real-time information is critical for planning journeys and making alternative plans in the event of delays or mishaps. RAD Data Communications has a portfolio of robust, long-range solutions for cost-effective convergence of the communications needs of the railway industry. RAD’s diverse and innovative standards-based products like the proven Megaplex 2100 provide connectivity for all mission-critical applications and services required in today’s railway environment, including voice and data transmission along railway lines, video surveillance, variable message signs (VMS), control equipment, signaling, and alarms. RAD’s solutions are deployable over any type of media – copper, fiber and wireless using multiple topologies, including point-to-point, daisy-chain and ring. Rail transportation companies need to transmit a combination of low speed and high speed data, voice and video information, along the line to stations and central control areas. RAD modems, multiplexers and cross connects transport and aggregate single or multiple services, such as digital and analog voice, signaling and alarms, schedule information and omnibus systems, from multiple stations over any network: SDH / SONET, ATM or IP. For economical multi-site connectivity, RAD can implement an IP or PDH/SDH/SONET local access ring over a redundant, long distance ring, adding resiliency and saving multiple long distance links. RAD’s products offer an easy migration path from TDM to packet-switched networks, enabling railways to enjoy connectivity between existing TDM equipment and IP-based network backbones. A train station requires a vast number of disparate links in a relatively small area. 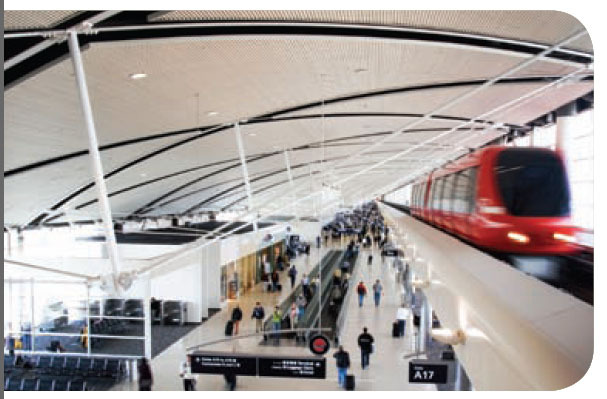 Connectivity requirements include support for telephones, technician ports, LANs, video surveillance cameras, internal station controls, public announcement systems, and information and ticketing kiosks. RAD Data Communications offers a variety of multiservice access multiplexers for seamless and efficient connectivity of all typical railway services and equipment to local and central control rooms. Crowded train stations, passenger waiting halls, underground platforms, and tunnels are sensitive locations that must be protected by a security system. Video surveillance is deployed by railroad operators in and around the stations and various unmanned locations in the rail yards. 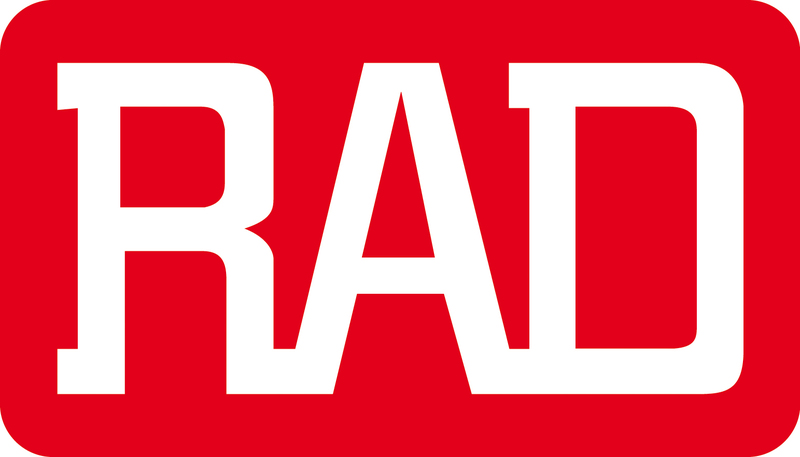 RAD’s data/voice multiplexers, cross connects and modems provide Ethernet extension to transfer IP-based video services, and enable connectivity to external DVR and video surveillance management centers. The video streams can be transferred over an SDH / SONET or IP transport network. Surveillance applications are not limited to the train stations themselves, but are often required in remote locations as well, such as tunnels, bridges and junctions of railroads and public roads. RAD modems like the ASMi-52 or its TinyBridge™ remote Ethernet bridge can extend Ethernet-based cameras beyond the 100 meter (62.5 foot) LAN coverage area. Passenger safety is of utmost concern to railway companies. Control rooms receive input regarding train status, position, speed, gates, and interlocking systems from many devices and apparatuses that help ensure safety and high quality train service. Therefore, reliable connectivity among all devices is a key requirement for all railways. The majority of control and alarm systems are located far away from the communications devices in the stations. Multiple control and measurement devices spanning the railroad lines provide online information, while many sensors and alarms monitor the situation and send alerts in the event of any change in status. RAD products support industry standards, offering a wide range of interfaces and data rates over any available media — copper, fiber optic and wireless links. Every minute counts in the fast paced railway travel industry. The transmission of travel information to passengers in real time is a necessity for rail operators. At railroad stations, schedule updates stream in continuously. For seamless transport of information between central control centers and variable message signs (VMS), RAD’s modems and SHDSL repeaters, which extend ranges between modems, use an Ethernet interface to transfer data over an extended area. RAD products can support daisy-chain, ring and drop-and-insert topologies to enable display connectivity over any infrastructure to the control center, while ensuring high reliability of information, thanks to line protection mechanisms. Railway operators use digital private mobile radio networks for coordinating teams. GSM-R (Global System for Mobile communications – Railway) and TETRA (Terrestrial Trunked Radio) are European wireless telecommunications standards that can be used for critical voice and data communication among railway operational staff, including drivers, dispatchers, shunting team members, train engineers, and station controllers. RAD’s GSM-R and TETRA backhaul solutions establish secure, cost-effective connectivity among the receiving points. RAD’s versatile multiplexers are ideal for GSM-R and TETRA traffic backhauling, offering multiple user ports, a variety of low speed and high speed data user interface modules, and a wide range of main link interface modules. The multiplexers efficiently aggregate and groom traffic from a large number of base transceivers and transport the voice and data over a few high speed main links. Efficient backhauling from remote dispatcher sites to the central mobile switching office (MSO) and dispatcher center with RAD’s solution streamlines network performance and minimizes transport bandwidth requirements and line costs for TETRA applications. The RAD solution also enables lower cost E1 or T1 rings with self-healing and E1, T1 or ISDN backup to ensure communications in the event of a failure in one section. For over a decade, railway companies worldwide have been installing RAD products in their networks to ensure safe and reliable travel. Leading vendors and system integrators in the railway industry, including Deutsche Bahn (Germany), SMRT (Singapore), Korea High Speed Rail Construction, Vietnam Railways, and METROREX (Romania) integrate RAD products into their solutions to increase the flexibility of their offerings. With a wide range of communications devices supporting diverse technologies, RAD can integrate its products into virtually any network and tailor the solution to meet your railway communications needs, including transmission of voice, data, LAN, and security traffic between different sites in the network, and central management to integrate the network and perform remote operations. The modularity of RAD devices allows for partial implementation of a solution at minimum initial investment, which can be expanded as network needs grow. RAD products also enable railway companies to use self-owned infrastructure to provide telecommunications services to external organizations such as business customers.